Starting Monday, April 8th, AWAKE passes will have a new price. Make sure you get the best offer now. 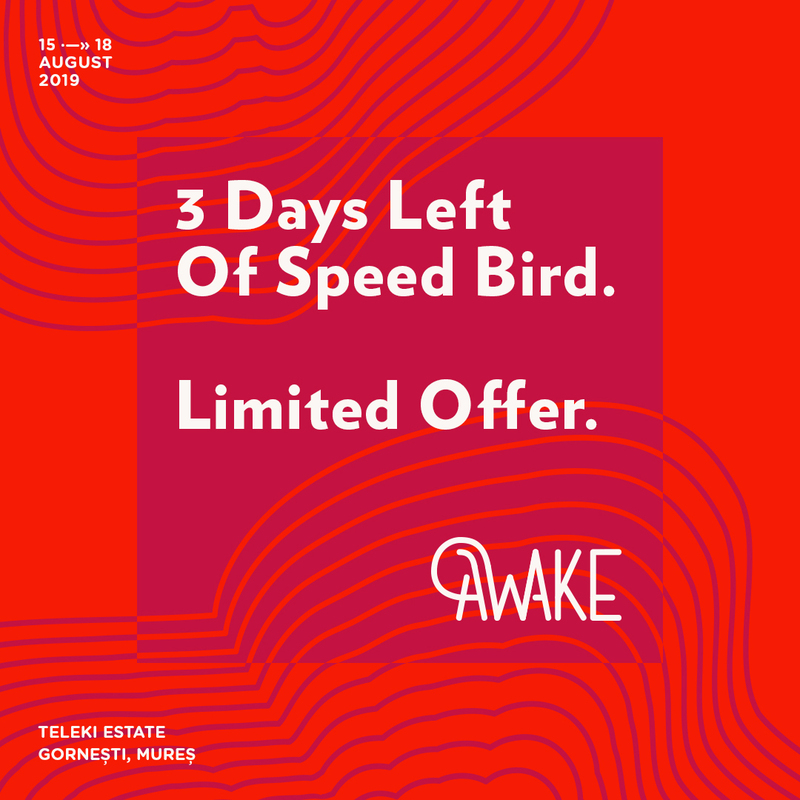 There are only few days left to grab AWAKE passes at SPEED BIRD promo price: 139 Lei (4 day pass) and 169 Lei (4 day pass + camping). Hurry up and get them from tickets.awakefestival.ro and join us this summer for a full festival experience.